I always use a tool holder when I’m working, which I wrote about in a previous post. 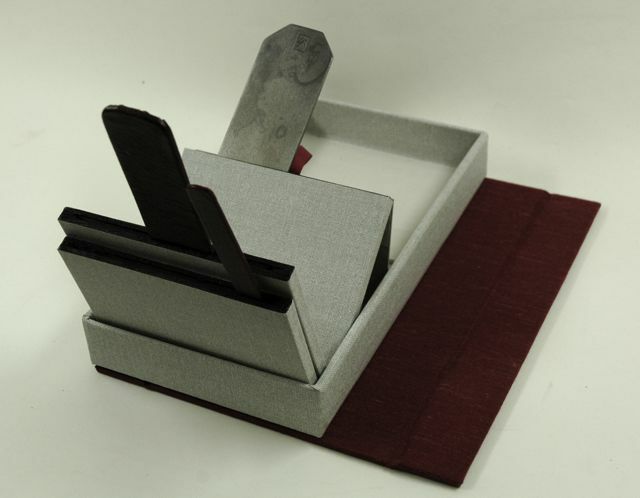 Ken Gilbert designed and sells these cool knife boxes to transport and hold a variety of knives while you are working. 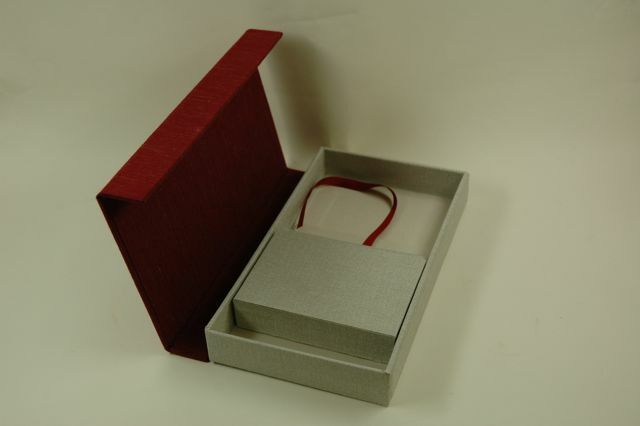 Boxes like these have an advantage over tool rolls, in that they have a smaller footprint on your bench. The trays flip up so you can see what tool you are looking for, and they are protected from banging around in transport. Additionally, it may encourage binders to purchase more than a paring knife and lifting knife set, which I enthusiastically endorse! Ken Gilbert is a bookbinder at Willow Bindery in Shrewsbury, Mass. and a member of the New England Chapter of the Guild of Bookworkers. Contact Ken directly if you are interested having one made for your knives.